A Welsh Labour candidate has been exposed as a racist hypocrite after calling on a Plaid Cymru opponent to resign over remarks he made 14 years ago. 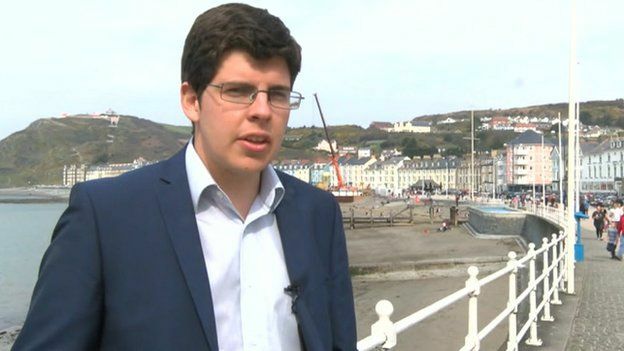 Labour's candidate for Ceredigion and Cardiff councillor Huw Thomas called on Plaid candidate Mike Parker to resign over an article he wrote in 2001 comparing rural Wales to the American mountains "inhabited by a sprinkling of paranoid conspiracy theorists, gun-toting Final Solution crackpots and anti-government obsessives". Thomas said "There should be no place in our politics or our society for such divisive and hateful language". However, it turns out that Huw Thomas was responsible for a torrent of racial abuse in 2006 against English people, calling for cars bearing English flags in Wales to be vandalised and describing people who have English flags as chavs, simpletons and casual racists.